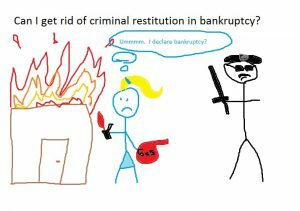 Can I get rid of criminal restitution in bankruptcy? Nope. (And to be honest, you probably expected this answer). If you don’t know what criminal restitution, be grateful. Let’s say that you have a very bad day and burn down the storage unit where you and your ex-husband used to keep all of your Christmas decorations. This is arson. After you are criminally charged and sentenced, the court will order you to pay various fines and even pay to restore the storage unit. In this scenario, the amount is $20,000 in total. Then you’ll have $20,000 in criminal restitution. You’ll have to get on a payment plan with the state to pay that back. When you file bankruptcy, it does NOT affect your restitution. 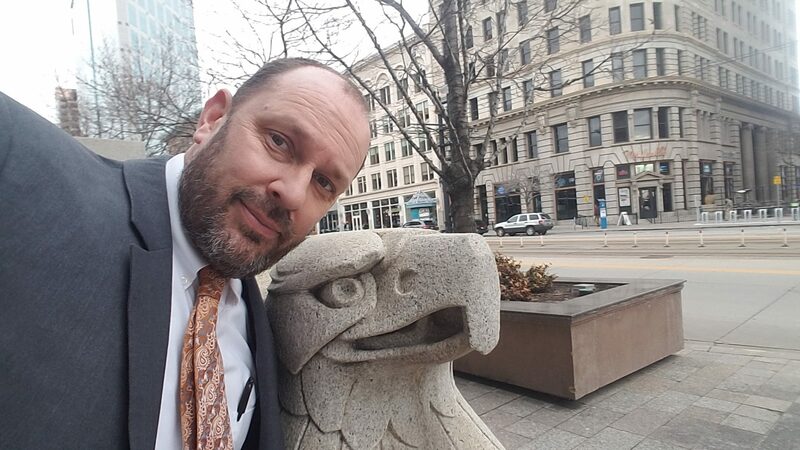 In some jurisdictions, you can organize those payments in a Chapter 13 bankruptcy, but here in Utah, the Chapter 13 Trustee does not want to be in charge of collecting and paying those each month. If you need case law, it is clear as well. The U.S. Supreme Court found in Kelly v. Robinson, 479 U.S. 36 (1986) that criminal restitution payments cannot be discharged in bankruptcy. You will want to get on a payment plan with the state and stick to it. This doesn’t mean that we cannot go bk and discharge your other debts like medical and credit collections. This entry was posted in Utah Bankruptcy on October 4, 2017 by robertspaynelaw.